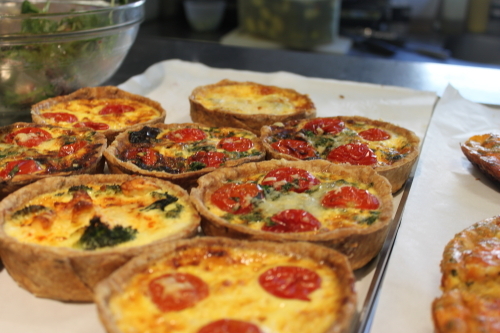 Whenever I am in Paris, for more than a few days, I try at some point to head to the Rose Bakery for lunch. The Rose Bakery at 46, Rue des Martyrs is a bakery/café/shop which sells and serves uncomplicated, flavoursome and mainly organic food at affordable prices. A throng of hungry and subsequently happy diners have beaten a path to its doors since Anglo-French couple Rose and Jean-Charles Carrarini opened it in 2002. A London outpost opened in 2007. I think the decor at The Parlour at Sketch is best described as truly madly eclectic; it shouldn’t work but it does. There is an assortment of different styles of sofas and chairs, covered in a bewildering selection of clashing fabrics, dotted around the large high-ceilinged room. Tables are of different designs and heights. The interior is dim despite an array of unusual lights which include vast chandeliers dangling from the ceiling and a large light, made of fibreglass, in the shape of a moose’s head, mounted trophy style on the wall. 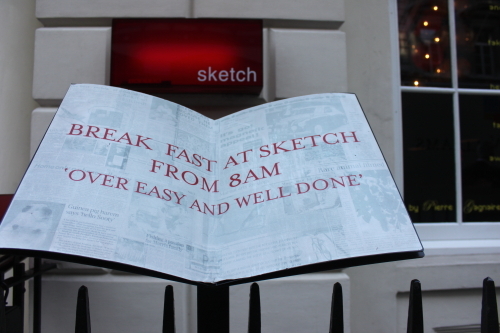 There is more, much more but I feel The Parlour at Sketch is best seen rather than described. 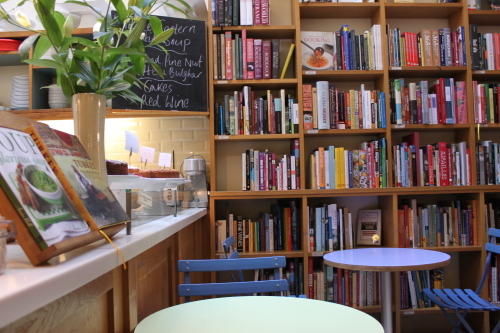 If a trainee fairy maniacal working her way through ‘Bewitchment for Dummies’ were to cast a spell which meant I had to eat lunch in the same place everyday for evermore, I hope that place would be the Books for Cooks café in London.